pali is a town in Rajasthan state of western India. Located in the Marwar region, pali is the administrative headquarters of pali District. It is situated on the bank of the river Bandi and is 72 km south east of Jodhpur. It is known as "The Industrial City" . pali was a trade centre. In the 11th century AD, pali was ruled by the Guhilas of Mewar. In the 12th century it became a part of the Nadol kingdom and was ruled by the Chauhan clan. In 1153 AD it was ruled by Chalukya Kumarpal and his feudatory Vahadadeva. Then it came under possession of Songara Chauhans of Jalore. 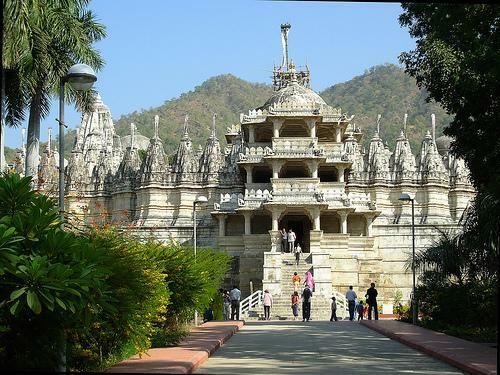 The pali has famous for its ranakpur jain temple and its textile industries. Many foreigners come here to see this historical jain temple. The Rathor dynsasty chronicles relate that Siyaji or Sheoji, grandson of Jai Chandra, the last Gahadvala Rathore king of Kannauj, came to Marwar on a pilgrimage to Dwarka in Gujarat, and on halting at the town of pali he and his followers settled there to protect the Brahmin community from the raids of marauding bands. His devali with the inscription of 1273 AD was discovered 21 km north west of pali. Champavatas Rathores ruled pali until 1761 AD when it became part of Jodhpur state. Rao Chanda, tenth in succession from Siyaji, finally wrested control of Marwar from the Pratiharas. His son and successor, Rao Jodha, moved the capital to the city of Jodhpur, which he founded in 1459. pali remained a part of the Marwar kingdom until 1949, when the last ruling Maharaja acceded to newly-independent India. The oldest temple in pali is the temple of Somanatha. Maharana Pratap was born in pali. His birth place is known as Juni Kacheri.